A CCOUC team of 5 members visited Antu County, Yanbian Korean Autonomous Prefecture, Jilin Province from 15 -20 August 2016 to explore new sites for the Ethnic Minority Health Project. Yanbian located at northeastern China, bordering Russia and North Korea. The plain terrain makes it susceptible to flooding. The most serious one in recent years occurred in July 2010, leaving more than 40 deaths and 1.5 million affected. Besides geographical features, traditional diet and customs of the Korean, like alcohol consumption and chili food, also pose threats to villagers’ health, including the risks of cerebrovascular and cardiovascular diseases and stomach cancer. In the six-day trip, the team has visited four villages to conduct health needs assessment using gender-specific focus groups, semi-structured interviews with village heads, village doctors and environmental assessments. Field logistics and feasibility assessment were also conducted for site selection and planning as well as training for prospective field trips in the future. I am Wang Shuhua, 61 years old. 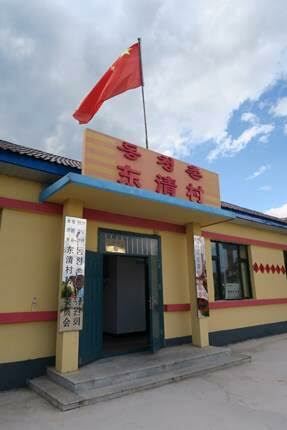 I am of Han ethnicity, having lived in Dongqing Village for many years. My family of 3 earn our living by farming and our annual household income is around RMB2,400. In 2010, we experience a severe flooding. The water level went above the head. I was lucky that the heavy rain did not destroy my house, but all livestock and property were gone. Remember that when the downpour came, I fled up the highland with my husband and son, and we stayed there overnight until the flood waters receded. I know our village faces a certain level of disaster risk, so I always feel frightened whenever there is rainstorm. I have high blood pressure and minor spinal problems, but I am not too worried about my own health status as I have regular medical checkups. I am Zhao Haiyan, 54 years old. I live with my family in Xijiang Village. I have high school education and I am now a farmer. I remember there was a torrential rain in 2010 continuing for a couple of days. One day, I stayed at home for the whole afternoon without the thought of leaving home to flee the disaster. However, the rain continued at night and government officials came to tell us to leave our home and seek shelter in a school on the highland. My house was destroyed by flood waters and my family had to stay in a temporary tent for some 10 days. Then, we found a house nearby to stay for the time being. I struggled when considering whether to rebuild the house at the original site or be resettled to a house built by the government on highland: I worried that the torrential rain would come again, while at the same time hoped that there would be more space (the house rebuilt at the original site was larger than the one built by the government). At the end, I chose to rebuild my home at the original place. Now, I will be really worried when the rainy season comes because we do not have much knowledge or skills to prepare for disasters. What we know is to run to simply save our lives once the flood waters are coming. As far as I can remember, there was not that much of rain in the past. However, due to the changed climate, torrential rains now happen frequently and the whole world is facing the same problem. I am Quan Yongjing, living with my family in Hongqi Village. My daughter and son have left to work in the cities, and only my wife and I remain in the village. I have heart disease and hypertension, and need to take medications daily. I spend more than RMB10,000 annually on treatments and medications. Since I have hypertension, I pay particular attention to my diet, including taking less salt. In the past, I ate kimchi regularly as it is a traditional food of Koreans. But I seldom eat it now and mainly consume diet of low salt. Chronic disease are very common here, thus I think we need more health education, particularly on the management and prevention of chronic diseases.